Continual improvements in consumer electronics technology make it inevitable: as soon as you buy the “latest and greatest” high-definition TV, audio receiver or component, an innovative new product hits the market which makes your sparkling new acquisition yesterday’s news. We’ve seen it on the projection/plasma/LCD/HD/3D/4K/Ultra HD television merry go-round, and we’ve seen it in VHS/S-VHS/DVD/Blu-Ray technologies, just to name two examples. There’s one virtual certainty, though; most industry experts believe that the new standard for home theater video signal transmission, HDMI, isn’t going anywhere soon – particularly since the latest versions of HDMI are all backward compatible. 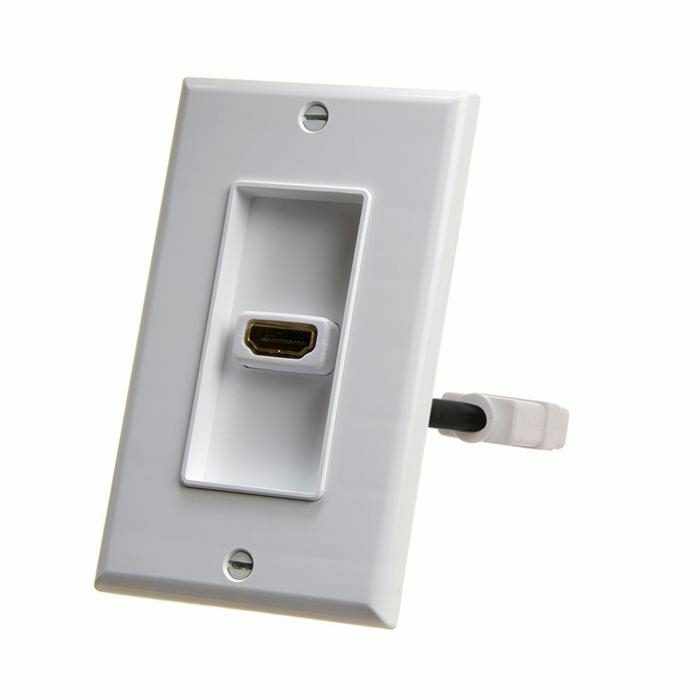 That’s good news for consumers who hate continually replacing the cables connecting their equipment, and it means that you can safely think about setting up your home theater with in-wall cabling which permanently connects to HDMI jacks conveniently installed in wall plates. That way you can upgrade your equipment whenever you’d like, and changing the connections is as simple as unplugging one cable and plugging in the other. Here’s the best way to accomplish the task: after you run the in-wall cabling, just get a few of our attractive Cmple HDMI wall plates which will easily install into your wall, right near your HDTV, cable or satellite box, monitor or other HDMI-equipped component. They’ll add professionalism to the look of your home theater, living or family room while freeing you from the mess of cables which usually accompany a video installation. 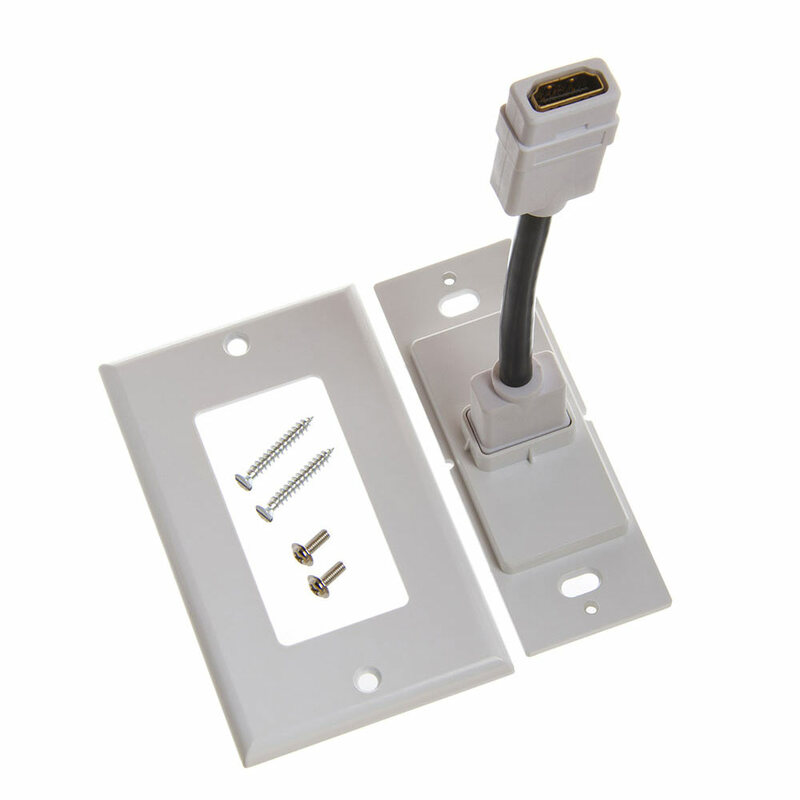 When we say these wall plates are simple to install and use, we mean it. They’re single-gang plates which fit into standard single-gang junction boxes or plaster rings; there’s a high-quality female HDMI connector on the front, and a four-inch HDMI female coupler cable (also made with our trademark Cmple quality) behind the plate, for an easy fit to your in-wall cable without requiring bare-wire connections or soldering. These ship with white plates which will blend in perfectly with almost any wall, wallpaper or décor, but are also compatible with Leviton Decora brand wall plates, so you can easily swap out the white plate for another one which suits your fancy. 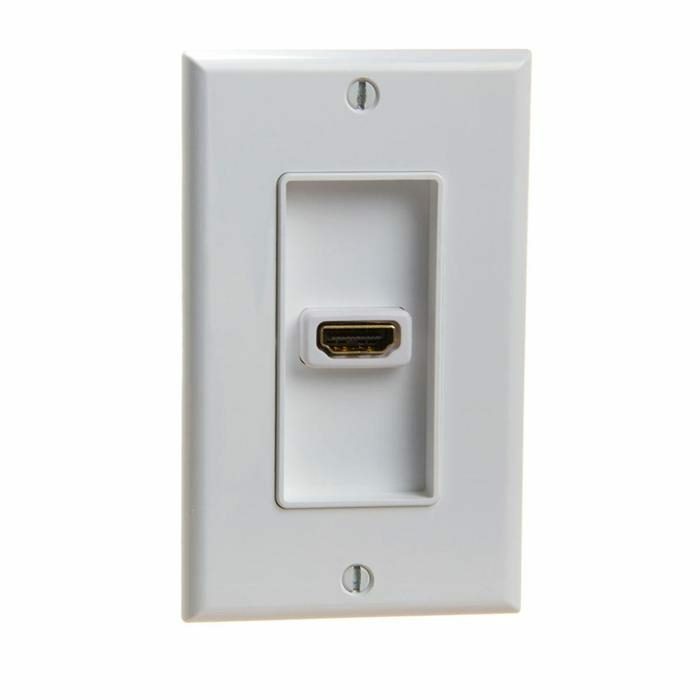 These Cmple wall plates have HDMI 1.3 connectors but are compatible with older versions of HDMI, so you can use them to hook up older TVs and monitors – and they’ll still be just right when you buy a new 4K, Ultra-HD or 3D television. They’ll serve you for many years to come; the first time you just plug a new component into the wall, you’ll be thrilled you made the decision to install permanent wiring. 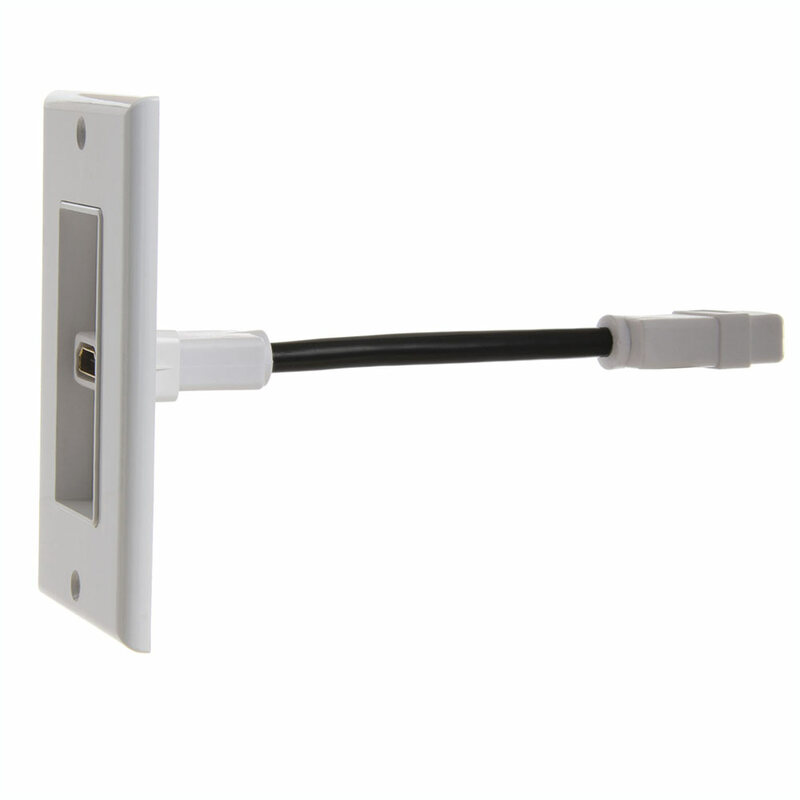 A major concern when installing in-wall wiring for any electronic equipment is lifespan – not of the cabling, but of the connection standard. But HDMI is here to stay, and this Cmple HDMI wall plate is almost certain to serve you for many, many years.